The name Tim Smith will probably elicit, from the majority of people who claim to be in the know about all things music, nothing more than a mere shrug and question of “Tim who?” Whilst he will never go down as one of the most successful and famous musicians of his era, Cardiacs frontman Tim Smith will always be one of the most influential and the calibre of artist present on this tribute record proves this to be the case. Featuring contributions from the likes of The Magic Numbers, Oceansize and Steven Wilson, this record raises money to help Tim with the condition he currently faces. Having suffered a serious stroke in 2008, Tim’s health is still in a perilous position and it is still unknown whether he will ever take up his musical career again. Thus many bands who recognise his influence and his importance have taken on the task of celebrating the amazing career he has already had. The results are rather delightful. Each song present on this record is a lovingly recreated account of one of the great Cardiacs tracks. Even for someone who has been rather slow getting into the work of Mr. Smith such as myself, this is a pleasure to listen to. 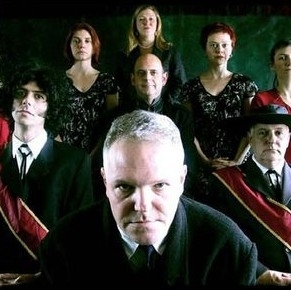 Opener 'Savour' is provided by ex-Cardiacs keyboardist William D Drake and friends and is a suitably sinister way to start off an album that is, after all, paying tribute to one of the most deliciously off-the-wall musicians of all time. 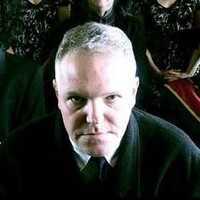 Drake is one of five current or former Cardiacs members making appearances. Mark Cawthra appears under his own name whilst Peter Tagg appears with The Trudy. Former guitarist Christian Hayes provides an excellent version of 'Is This the Life' under the name mikrokosmos and Kavus Torabi (still with Cardiacs today) does a spectacular version of 'The Stench of Honey' with his Knifeworld project. Another early highlight is provided by Oceansize’s run through of 'Fear'. It seems strangely appropriate that this is the last song Oceansize released, considering the great extent to which the work of Smith influenced them over the years. Such influence is nowhere more apparent than here. For me this track takes extra special significance by virtue of the fact that if it wasn’t for ‘Size man Mike Vennart I’d probably never have listened to Cardiacs in the first place. Another big name comes along in the form of The Magic Numbers who as ever are on top vocal form for their restrained interpretation of 'A Little Man and a House', an undeniable Cardiacs classic if ever there was one. Arguably the best on the record are saved until last. Steven Wilson is known as a musical genius the world over for a reason, because pretty much everything he touches turns to aural gold, and his version of 'Stoneage Dinosaurs' is no exception to the rule. However he is perhaps upstaged by the closer, an incredible take on 'Home of Fadeless Splendour' by The Scaramanga Six. One of the most accomplished covers on the album, this one track sums up everything that is great about this record. It’s a labour of love and a wonderful and touching celebration of some incredibly unique music. If you’re a fan of Tim Smith’s work, or just experimental music in general...hell, even just music in general, then you should buy this record simply for the dedication evident on all of its songs. Listen to it, then listen to the originals...it’s good for your ears, trust me. Oceansize and Steven Wilson release a double a-side single of their contributions on Record Store Day, 16th April 2011. All at Stereoboard.com would like to wish Tim Smith our very best in his recovery. 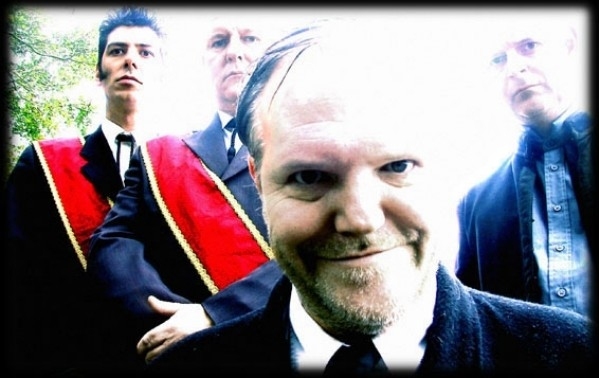 'Leader Of The Starry Skies' is a tribute to Tim Smith, lead singer of Cardiacs, who has been tragically stuck in hospital for two years after suffering a heart attack. The album is due to be re-released on vinyl, as well as a new split single featuring 'Stoneage Dinosaurs' by Steven Wilson and 'Fear' by Oceansize. These two tracks are taken from 'Leader Of The Starry Skies', and both the single and album are due for a vinyl release on the 16th April to coincide with Indie Record Store Day.